The Melbourne International and Domestic Airport is located 22 kilometres north west of the Melbourne CBD, but is easily accessible via the Tullamarine Freeway or Skybus shuttle service. However, if you are looking for a hotel in and around the Melbourne Airport then there definitely are plenty of options available for you. At Airport Hotel you can choose from any one of the following airport hotel accommodation options and be able to get special discount rates for both last minute bookings and reservations well into the future. The Melbourne Airport Motel and Convention Centre is the perfect location for leisure, business and conference guests, conveniently located only minutes from the Tullamarine Melbourne airport and a 20 minute drive from the Melbourne CBD. 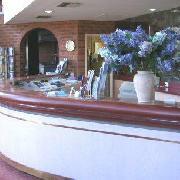 It features an elegant multifunctional conference centre, 24-hour reception, disabled access, children facilities as well as a heated swimming pool and spa. This airport accommodation has comfortable hotel rooms that are well equipped and guests can choose from a range of accommodation from standard hotel rooms to luxury spa suites, executive rooms and honeymoon suites. Relax in the tranquil parkland setting, dine at the stylish Willowbrook restaurant, enjoy a drink at the bar and make the most of the 24-hour courtesy Melbourne airport trasnfers complete with short term and long term car parking. 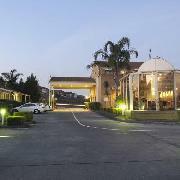 Ciloms Hotel Melbourne Airport provides motel accommodation only 2 minutes from Melbourne Airport. Checking out the discount rates & availability and booking direct is one of the best ideas to save money. 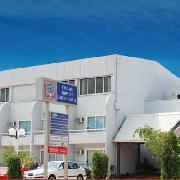 Ciloms Airport Lodge is the Melbourne airport hotel motel. This Melbourne Airport accommodation is conveniently located only two minutes drive from the Airport in Melbourne and offers both business and leisure travelers all the comforts and conveniences you would expect from quality airport hotels and much, much more. 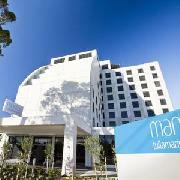 The Mantra Tullamarine Airport Hotel offers contemporary, stylish guest rooms and suites that have been specifically designed with comfort in mind so that it provides a warm and relaxing atmosphere for all types of travellers. 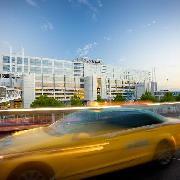 Transport is provided to and from both the international and domestic terminals via the hotel airport shuttle service, which runs on a regular basis. Perfectly located to cater for whatever your travel needs might be the Mantra Tullamarine Hotel is ideal for a stopover or if you are catching an early morning flight out of Melbourne. Quality Hotel Melbourne Airport is situated at the gateway to Melbourne only minutes away from the Melbourne Airport and is conveniently located close to shops and the Melbourne CBD 15 minutes away. The Courtesy Bus is available 24 hours a day to collect and deliver you in time to catch that early morning flight or pick you up late at night. This Quality Melbourne Airport Hotel features a range of standard, deluxe and executive hotel accommodation rooms as well as great guest facilities at the hotel. If you are looking for absolute convenience when travelling in and out of Melbourne Airport then you should stay at the PARKROYAL Melbourne Airport Hotel. It is perfectly situated a short walk across the pedestrian walkway from the Domestic and International terminals of Melbourne Airport, meaning that you do not have to worry about traffic hassle, bus availability and ultimately running late for your flight. The PARKROYAL Melbourne Airport has a wide range of luxuriously appointed hotel rooms and suites that have all of the comforts that you would expect from a quality 4 ½ star property. Hotels and Motels located close to Melbourne Airport offering special discount accommodation for stays longer than 1 night. You can book your airport accommodation up to 12 months in advance or at the very last minute.